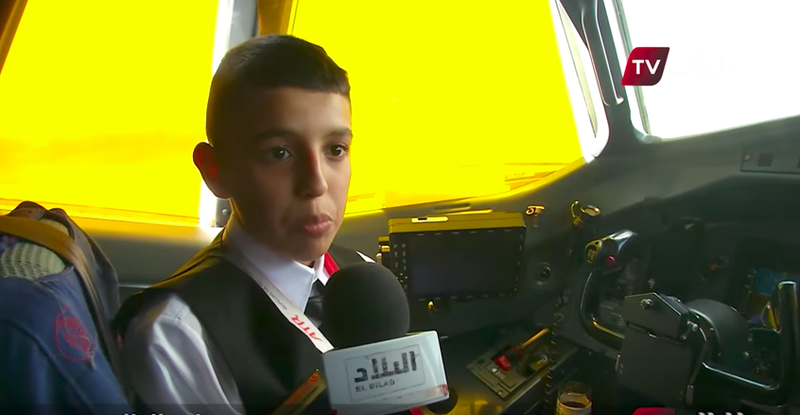 In what was supposed to be a heartwarming story about a 10-year-old orphan fulfilling his dreams, Algerian news channel El Bilad’s short film resulted in two pilots getting suspended for letting the youngster manipulate controls during a commercial flight, The Telegraph writes citing local news reports. It’s great that the kid, who reportedly wants to be an airline pilot when he gets older, got to dress the part, hang out in the cockpit and play around with buttons while the plane was stationary. But the charity initiative that put the whole thing together went a little too far when the pilots allegedly allowed the untrained kid to manipulate controls while the airplane was en route from Algiers international airport to a nearby regional airport. As great as it probably was for the kid, a novice at the controls of an enormous machine carrying multiple souls thousands of feet above ground is a violation of aviation regulations. As a result of El Bilad’s otherwise cute video Air Algérie—Algeria’s national airline—suspended the two pilots, according to The Telegraph. Though we don’t know the true extent to which the child was really able to control the airplane, it’s worth noting that back in 1994, all 75 people aboard the flight Aeroflot 593 perished when the pilot allowed into the cockpit his 16 year-old son, who accidentally pressed a pedal and sent the aircraft into a chaotic spin. Kids in cockpits is just not a good idea.